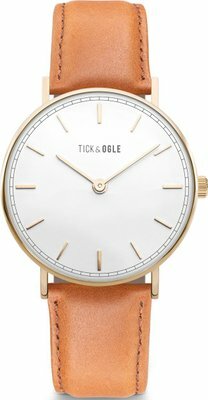 The Tick and Ogle Herman Leather Men's Watch. A stylish watch for gents, paired with vintage leather. 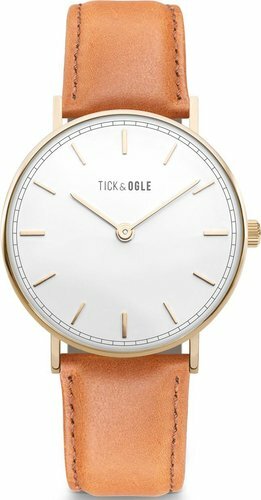 Tick & Ogle watches are modern timepieces with minimalistic design inspired by Scandinavian simplicity and unique surroundings. Interpreting future trends and classic watch making heritage into contemporary watches. With an understated elegance highlighting the bare essentials of a watch. The watch face's fluid shape is inspired by a drop of water flowing into the sea. 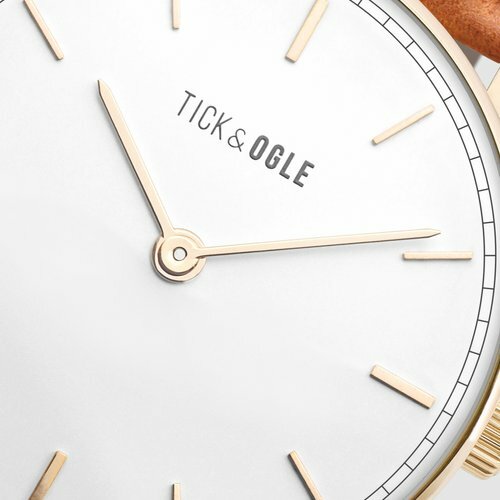 Tick & Ogle watches are created to meet the needs of a fashion conscious audience; seeking an individual look with timeless beauty and style in simplicity.